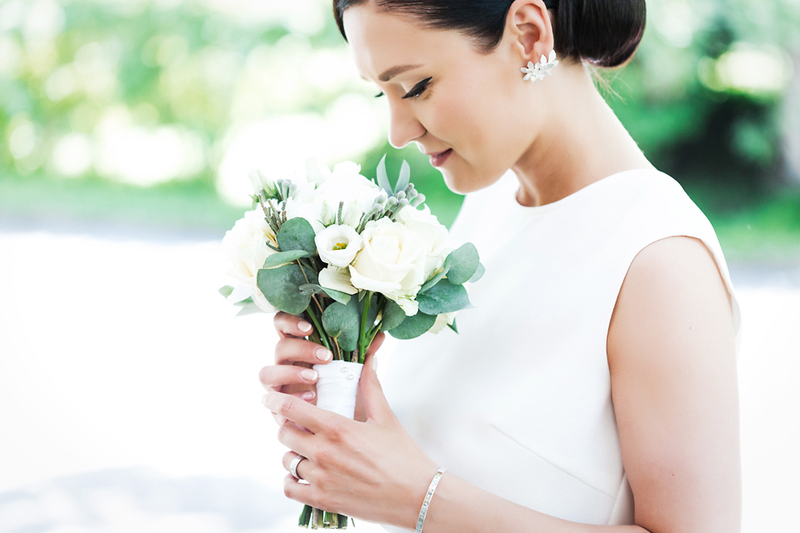 Erica is wearing a bridal version of a Lilli Jahilo classic silhouette, the Harper dress. It is crafted from soft crepe and is fully lined with luxurious silk. It features the signature tie fastening and an open slit back. A truly modern take on bridalwear!